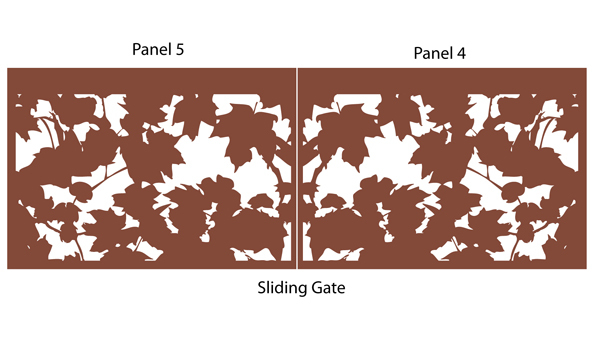 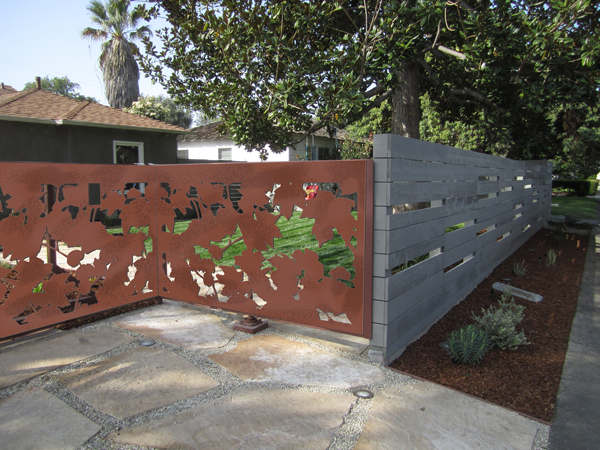 Laser cut steel panels for a residential fence. 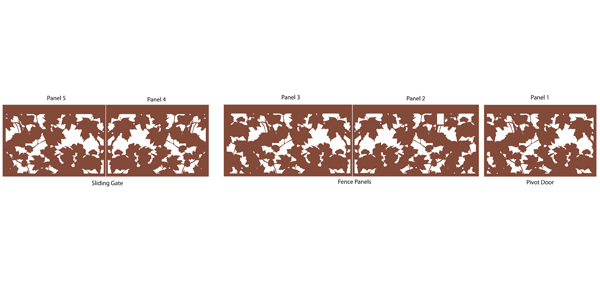 I designed a repeatable pattern for each panel, and prepared cutting files to be used to directly cut the design out of 1/8" thick sheet steel. 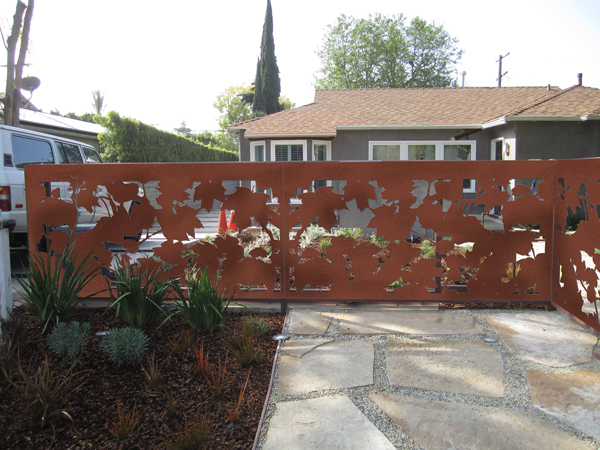 House renovation and landscape project by PMA and King Garden Design.